'70s American hard rock bands never seemed to be as good as British ones. We had Aerosmith and later Van Halen, early on there was Alice Cooper (whom I've just been informed after my quick death in the BCB Cup was "Too staid 70's classic rock. 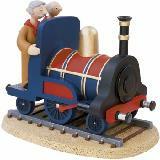 "), terrible Ted was around and the kids had KISS. But we never really had anything to compare to Led Zeppelin, mk 2 Deep Purple or Black Sabbath. I was into all of these bands, of course, including a bunch of New Yorkers with supernatural and macabre tendencies in their lyrics called Blue Öyster Cult. I never really knew too many fans of these guys growing up, until I was in college in the mid-to-late eighties when the Cult were well past their prime. His name was George and B.O.C. was his favorite group. An interesting notion in the days of MTV and Depeche Mode. But I'm here to discuss the Cult in their '70s hey day, not the sad decline after 1981. It's got everything you need. All the albums on Columbia from '72 - '88, a CD of radio broadcasts, a rarities disc, and you can download some pretty cool live concerts too. They were originally called The Soft White Underbelly and gigged for years on Long Island in N.Y. They were associated with rock critic Richard Meltzer (who wrote lyrics for them) and were managed by Sandy Pearlman. Apparently, an entire album was recorded for Elektra in the '60s but not released at the time. It might be out now but I've never heard it. 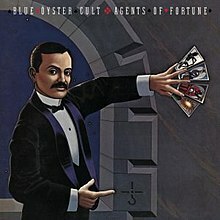 Their career proper begins in 1972 with the Blue Oyster Cult album and it might still be my favorite. It was quickly followed by Tyranny and Mutation and Secret Treaties. All capped off with an excellent live album called On Your Feet or On Your Knees. Folks, these are the great years for the band. They hadn't achieved peak success yet with a radio hit but all three of these studio albums are chock-full of great, hard-rockin' songs. They rock about as hard as Alice Cooper I'd say, lacking the truly heavy guitar tone of Black Sabbath or the guitar pyrotechnics of a Jimmy Page or Richie Blackmore. Still, Donald "Buck Dharma" Roeser was no slouch and the tunes have great riffs and interesting lyrics. Go have a listen to "Cities on Flame with Rock and Roll" (with a riff based on Sabbath's "The Wizard"), the creepy ballad "Then Came the Last Days of May," the entire first side of Tyranny and Mutation (which Chuck Eddy called "the most impeccably produced side of riff in the history of the substance"), "Career of Evil" (co-written by Patti Smith) or "Astronomy" (which Metallica later covered). They were never better as album-makers than here. Something funny happened next. They actually wrote a classic song. The Byrds-like chime of "(Don't Fear) The Reaper" was all over the radio in 1976 and even though the LP from which it came Agents of Fortune wasn't quite as good as what had come before - there were still enough quality songs to bring the band an even larger audience than it had enjoyed before. Spectres was another slight slip down from even Agents of Fortune but I'd say about half of the album worked with the mighty "Godzilla" providing another radio hit. Some Enchanted Evening was another live effort (now expanded to double-album length on CD) and the seventies ended with Mirrors - which may be their weakest album from their purple patch but is still worth your time. Even though this second batch of four records doesn't match the heights of the first quartet, good tunes abound: "(This Ain't) The Summer of Love", "E.T.I. (Extra-Terrestrial Intelligence)", the vampire songs "I Love the Night" & "Nosferatu," the hit "In Thee" & "The Vigil" are all pretty damned great. The first two B.O.C. albums from the eighties continued the high degree of quality control. Cultösaurus Erectus had no famous songs but was more consistent than Mirrors and Fire of Unknown Origin was actually pretty good - more than just a last gasp. "Burnin' for You" was their biggest hit since "Reaper" and "Veteran of the Psychic Wars" was used in the animated Heavy Metal film. Both records are in the same league as their last two seventies LPs and it's too bad they couldn't continue in this vein for a few more years. The drop off didn't start right away - a third in-concert album, Extraterrestrial Live, actually had a better set list than Some Enchanted Evening. But the next studio album, The Revölution by Night was terrible - the only highlight was "Take Me Away" which is underrated, and the Patti-Smith cowrite "Shooting Star" charted. Anyway, after such a disaster they never really recovered. If anything Club Ninja was worse and though some like Imaginos I think the convoluted plot and overproduction kill it. 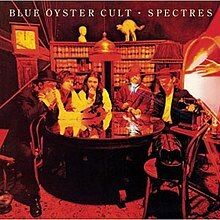 But still, from '72 - '81 Blue Öyster Cult provided much pleasure for those who like their hard rock a little dark and hooky. Martin Popoff wrote the only book I've ever seen on the band, Blue Öyster Cult: Secrets Revealed and it'll tell you everything you need to know. I recommend it. Last edited by Matt Wilson on 28 Jan 2015, 15:46, edited 1 time in total. Cheers Matt. Absolutely nothing to add - I think you pretty much nailed it; although I do think I like Imaginos a bit more than you, I have to admit that the first three are the ones I reach for these days. I like this, esp. since it occurs in a post by a fan (admirer? ), if I may say so. See my sig. Loved their early stuff and saw them put on a great show at Manchester Apollo sometime in 1980 - the only time I have ever been backstage at a concert. Was probably the loudest concert I have ever seen - my ears were riinging for days afterwards. Re Soft White Underbelly - I remember when someone - rather unfairly as he was pretty knowledgeable about the bands he wrote about - took to the NME letters page in the mid 70s to excoriate Max Bell for apparently dismissing a reissue of SWU's output as "a poor man's BOC". Mirrors is the only non-live album, and didn't they love their live albums, I couldn't be bothered with owning. Their biggest strength was also their biggest weakness- multiple song writers, so always eclectic but never really settling in a signature sound. I like them far more than any British Rock band of that era, possibly because they had a little bit of mystery and exoticism that the British bands lacked. Their songs were always lyrically more interesting as well with Michael Moorcock, Patti Smith and Pearlman chipping in. One of my top ten bands without a doubt, it is amazing how many people who consider themselves pretty big music fans have never really heard them because they assume they are a soft rock band based on their big hit. I will nail my colours to the mast and admit that I am not a massive fan of the first two albums which is where the critical reappraisal seems to be coming from these days with people like Julian Cope championing this earlier garage style, but for me they really got going on secret treaties and they then kept it going at a pretty high level, bar mirrors up to FOUO. After that I am not really interested. None of their albums really works as a coherent whole in my view but Secret Treaties and Cultosaurus Erectus ( the most ROCK album title of all time ) get closest. 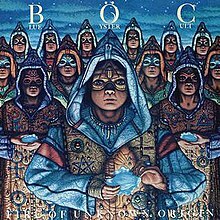 But between BOC and FOUO everything they did bar Mirrors has real worth and should put them at the top table of rock bands of that period. Their interest in releasing live albums constantly is interesting, most big bands of the period released a live statement of their set, but did any other band release a live album every 2-3 years to underline a period and set like they did? 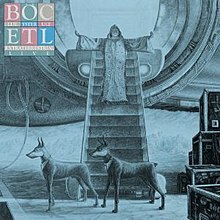 I'd agree that ET Live is the best, Some Enchanted Evening has a lot of cover versions for some reason, and I never thought OYFOYK was any great shakes. It is also interesting to compare the public perception, even amongst supposed cognoscenti, of them of a MOR rock band with the rather more interesting background they came from their friendship with Patti Smith and MC5 and even their championing by Mark Perry as a band worthy to be considered as of interest for Punks, he knew. It has to be the biggest disconnect between perception and reality in rock history. I only saw them once, mid 80s, just in time really. I tried to see SWU but sent a 12 or 13 year old Deebank to get tickets from the Marquee and he was laughed out of its ticket office. Copehead wrote: did any other band release a live album every 2-3 years to underline a period and set like they did? Rush, 4 studio albums then a live album, then a change of style, 4 studio albums then a live album, then a change of style...... But nowadays they're studio live studio live... which is too much. My BOC collection stalled at Spectres because that's as far as the remasters went. So I've already got too much to justify the boxed set but don't want to buy the other albums individually in case the remasters are just around the corner (I know they're not really). Copehead wrote: I tried to see SWU but sent a 12 or 13 year old Deebank to get tickets from the Marquee and he was laughed out of its ticket office. It was The Venue near Victoria Station actually. Next time get your own tickets you lazy sod! Anyway, I loved BOC too and also rate Secret Treaties highest. It seemed like they'd dropped a lot of the Zeppisms of the pervious two LPs and plumped for a harder more garagey aggressive sound on songs like the peerless Dominance & Submission. I loved their wonky mysticism - name-dropping the none more weird early SciFi of The King In Yellow on Pearlman's ETI for instance. They were all very short weren't they? I think Buck Dharma is a fantastic lead guitar too. Always tasteful, always playing in service of the song rather than his ego. One of my top guitarists, no question. I'm a fan of the first four LPs and then some scattered songs here and there over the next few albums. I've never liked any of their live records. I saw them around a half dozen times from 1973-ish to the late 70s. It always seemed that the live releases were far weaker performances than any that I witnessed. To be fair; I'm not a big fan of live albums, in general. Saw them numerous times at arenas and stadiums. Always a favorite. For his birthday, I bought a buddy of mine Agents of Fortune just because I loved them so much. Now everyone knows they were Soft White Underbelly, but in the '70s not a whole lotta folks did. When they'd come into town, they'd always do a show at a small club in San Francisco under their original name. I saw them once in this setting - at a place called the Stone on Broadway, which later became one of the clubs where Thrash was born. They also played a Bill Graham club, the Old Waldorf (I saw AC/DC, U2 and Echo and the Bunnymen play there). The thing about seeing a great rock band play at small venues like this is you can really tell how they graduated to bigger venues because a place that small just can't contain great bands. They blow the roof off. I would only add that 'On Your Feet or On Your Knees' is one of the best live albums, ever. Half of 'Imaginos' is pretty great. which kind of makes it an East Coast kinda thing. 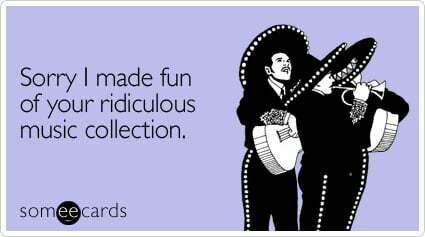 I only have 3: Tyranny and Mutation, Secret Treaties and Agents of Fortune. All are good and I wouldn't mind checking out others and Matt Wilson's post has tempted me those it does appear that I probably have their best ones already. If that box set is cheap I may be tempted (Edit:I just checked and it ain't!). trans-chigley express wrote: I only have 3: Tyranny and Mutation, Secret Treaties and Agents of Fortune. All are good and I wouldn't mind checking out others and Matt Wilson's post has tempted me those it does appear that I probably have their best ones already. If that box set is cheap I may be tempted (Edit:I just checked and it ain't!). Time to crack open my BOC mp3 collection then. I think it includes both of these. You lucky man, the joys of Black Blade, Unknown Tongue, The Marshall Plan, Vengeance ( the Pact ) and Joan Crawford has risen from the Grave await! In fact there is barely a duff song on either album. Black Blade is one of my favourite songs of all time, so gloriously OTT, lyrics by Michael Moorcock. Any song that ends with the vocoderised demonic laughter of a mythical sword has got to be brilliant. I read some of those Elric of Melnibone books when I was a kid. 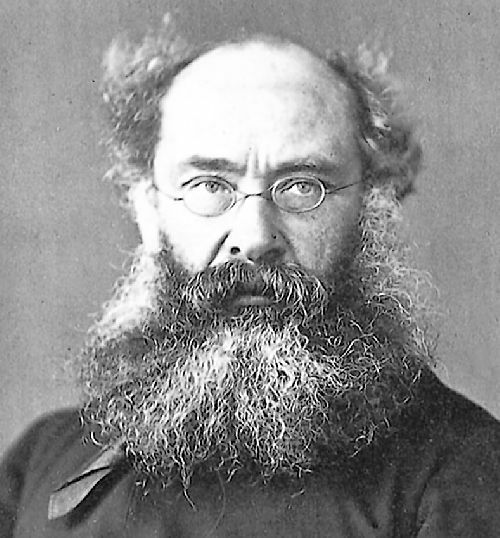 Moorcock was a great fantasy writer. I'm a fan of Don't Turn Your Back of FOUU - it's cod funk, but it swings so nicely and BD turns in such a stratospheric solo you can forgive a degree of Policeification.